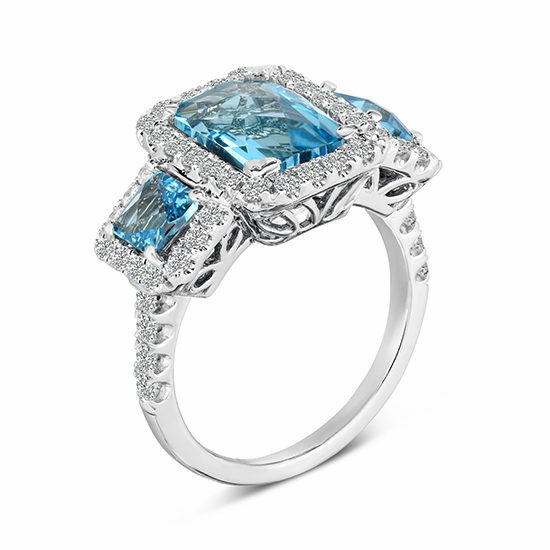 Classic Three Stone Ring featuring three impressive Topaz. 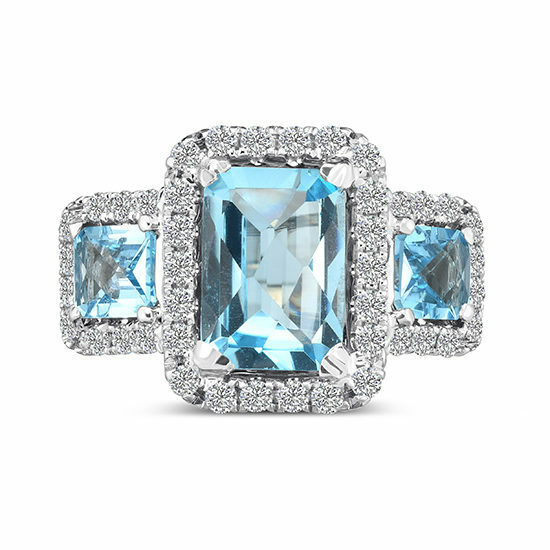 The center is an Emerald Cut Topaz and the side stones are square cushion cuts. Set in platinum with 0.55 carats of E/F color VVS clarity diamonds. 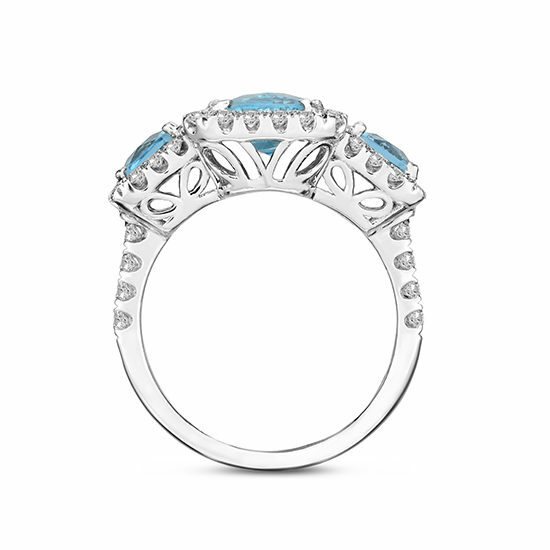 This ring makes the perfect Right Hand Ring. 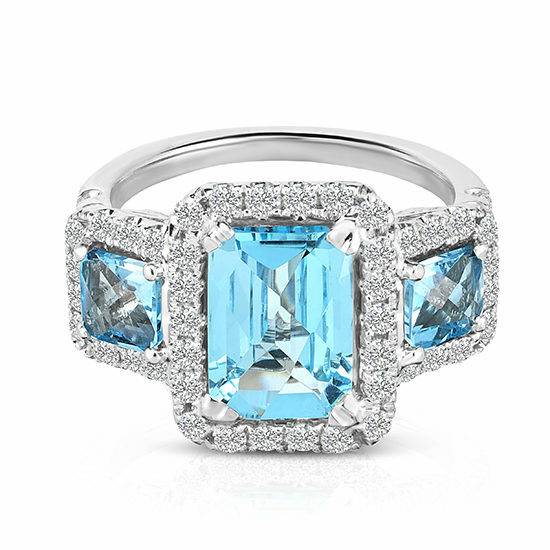 If you have a November baby in your life the ring would make the perfect gift, as Topaz is the November birthstone.